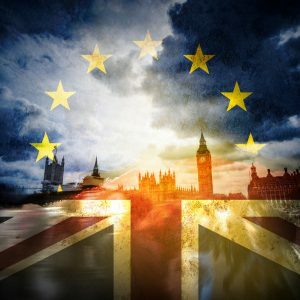 Whilst it is still unclear what exactly a post-Brexit Britain will look like, it seems as though most Brits stand to lose EU citizenship whatever happens, even if Article 50 is extended indefinitely. Yet, Brexit does not necessarily mean you have to relinquish your EU citizenship and the rights that come with it, such as freedom of movement, settlement, and employment across the EU. If you want to continue being an EU citizen or having easier access to it beyond March 29th—or whenever the UK does eventually leave the EU—there are a number of ways you can do so, which we’ve outlined below. The requisite investment typically includes contributions to the society or economy of that nation. For instance, Maltese citizenship can be obtained with a minimum investment of €1.15m (£1m) in things like real estate or government stocks, although applicants must live on the Mediterranean island for a year before a passport is issued. Similarly, you can secure Cypriot citizenship with an investment of €5m (£4.4m). Among other areas, this money can be used for government bonds, real estate, or the acquisition of a Cypriot business. Another less trodden path to a global lifestyle with EU access is the Carribean offering, with St Lucia and Dominica providing the most affordable options, starting at $100,000 for a main applicant. However, these small countries have stricter security checks, thus not anyone makes the cut. Bypassing a lengthy naturalisation period, this might just be the ideal way to keep your EU citizenship and/or rights—as long as you can afford it. You could also retain your EU citizenship by moving to one of the other 27 member states. However, you’d need to do so before the end of March whilst you can still exercise freedom of movement and the right to work or study abroad. In order to gain an EU passport, you’d have to stay in this nation long enough to meet its citizenship requirements. For most EU countries, this is five years of continuous residence and a working knowledge of the country’s language and culture. There are concerns about how a no-deal Brexit would affect Brits living elsewhere in the EU, and a handful of countries including Romania and Greece are yet to clarify their position on this, but most EU countries have provided assurances about the status of British expatriates. For instance, Ireland has said that the Common Travel Area would remain in force, enabling Brits to work there and move freely between Ireland and the UK, whilst France has guaranteed the rights of Britons living there should a no-deal Brexit come to pass. That said, this does depend on the UK providing French nationals in the UK with equivalent status. In Germany, UK citizens would have three months to apply for a new residency permit from March 30th, and the Italian government has assured British expats of their residency rights in a no-deal scenario. Although this approach would eventually provide you with EU citizenship, it requires you to uproot your life and, in the event of a no-deal Brexit, could be risky depending on where you go. As such, it is probably not worth relocating for the sake of a passport. However, if you have been considering a move to another EU country anyway, now would be the perfect time to do so, although do make sure to look into what will happen to your residency rights should the UK leave the EU without a deal. Alternatively, you could wait until after Brexit before considering a move to another EU nation, but this will be a lot trickier if there is no freedom of movement. The final route to EU citizenship is through your ancestry. If you have parents, grandparents, or even great-grandparents from another EU country, you might be able to claim citizenship rights by descent. For example, those with an Irish parent or grandparent can claim Irish citizenship, regardless of where they were born, whilst an Italian great-grandparent may entitle you to Italian citizenship, as long as nobody in your lineage renounced their Italian passport. Hundreds of thousands of Brits have already explored this option since the referendum result, with the majority applying for Irish passports. This is unsurprising considering that around 6.6 million people in the UK have an Irish parent or grandparent, and nearly 100,000 Irish passport applications were received from Great Britain in 2018 alone. EU nations including Germany, France, and Belgium have also experienced a surge in Brits applying for citizenship. So, with the right ancestry and documentation, you could secure yourself an EU passport in a matter of months, with next to no fees involved. If none of these apply to you, citizenship by investment remains a safe and legal option… so long as you have the money and the reputation to be accepted. Next Article Next post: Will the Australian Dollar Be Impacted by Brexit Negotiations?